He was one of a handful of people whose initials suffice to recognize the name and what it stands for: Yves St. Laurent – or YSL – was arguably the world’s greatest fashion designer, synonymous with understated elegance. His signature style was influenced in good measure by his vision of Asia and the complex simplicity of Asian art. A part of the permanent collection housed at the Parisian museum bearing the fashion artist’s name has now come to Nice. 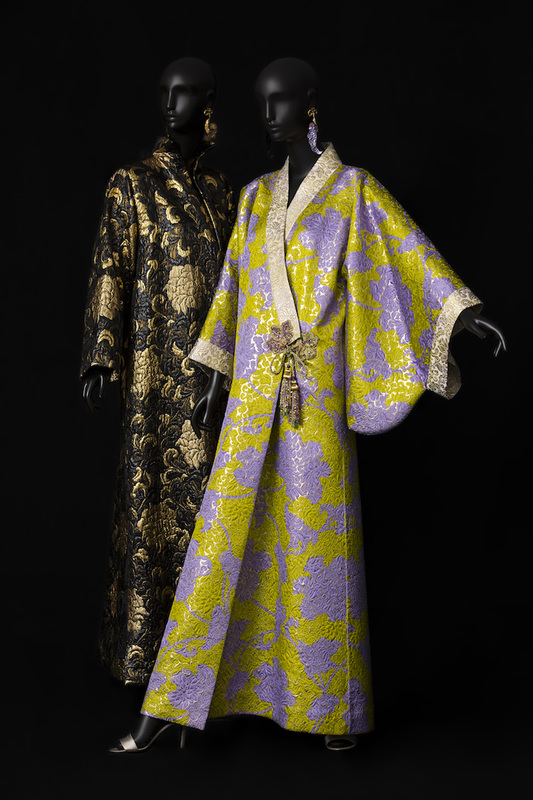 Until October 6, 2019, Nice’s Musée des Arts Asiatiques displays 35 haute couture models, inspired by India, China and Japan, along with sketches, accessories, and photos to illustrate the connection – or rather, the love story – between YSL and the Asian continent. 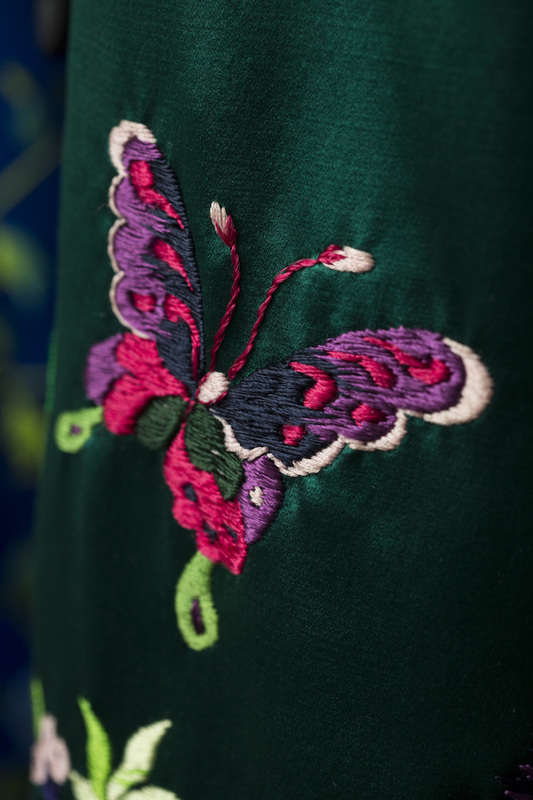 The couturier’s original models are mixed with objects, precious fabrics, traditional costumes and ethnic jewelry from the museum’s own collections. This juxtaposition allows us to understand St. Laurent’s sources of inspiration and his path to a uniquely original body of work. Yves Saint Laurent’s Asian inspiration was in fact not based on personal knowledge of these countries. He had travelled little in Asia, only ever visiting Japan… hence the title “L’Asie rêvée d’Yves St. Laurent”, implying that his ideas were more ideas-based, and rather built on his scholarly approach, drawn from his personal specialized library and beautiful collection of Asian objects. Dedicated to the maestro’s creative process over the years, the exhibit at the Museum of Asian Arts is divided into five sub-themes. An introductory film, specially made for the MAA and presenting a range of testimonies, serves as a preface. 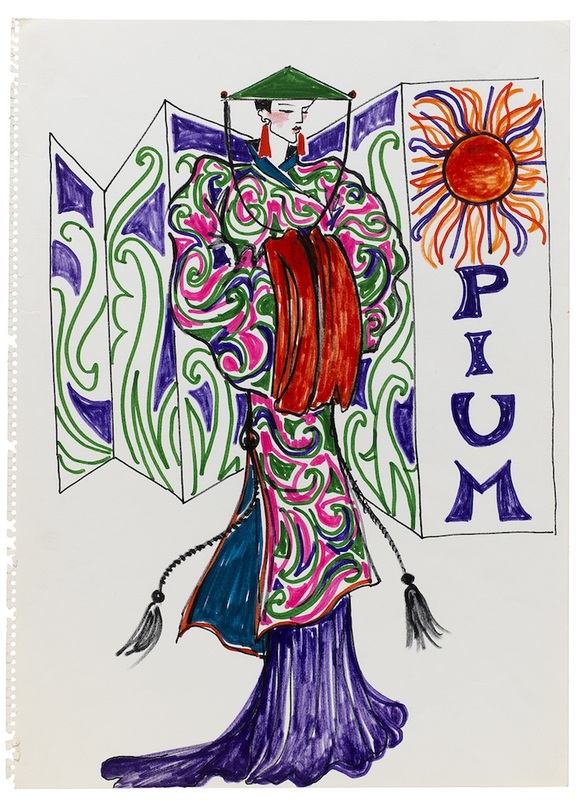 The next three sections explore India and its influence on the design of the models, YSL’s link with Japan and the sumptuous kimonos worn by courtesans, and traditional China, inspired by a gamut of textiles from court wardrobe to traditional Mongolian clothes. The show concludes with a presentation of the legendary Opium perfume, which upon release in the 1970s was revolutionary in more ways than one: its highly concentrated floral and woody composition, its bottle in the traditional form of an inrô (a lacquer box used by samurai and imperial courtisans to store their precious possessions), and of course the provocative name. Upon opening in Paris, visitors and the media alike were highly impressed with the exhibit. Public interest in fashion designers is continually growing and being recognized as an artistic expression unto itself. French designers like Yves St. Laurent, but also Christian Dior, Coco Chanel or Karl Lagerfeld embody France’s timeless style and elegance. Outside Paris, the French Riviera – notably Nice, Cannes, and Monaco – has long been home, or second home, to wealthy, elegant women who love to flash couturier chic but also fashionable avant-garde and designer leisurewear. To present this exhibition in Nice is therefore simply logical, and to do so at a museum dedicated to Asian Arts, a natural symbiosis. The temporary exhibit L’Asie rêvée d’Yves St. Laurent runs through October 6, 2019 and admission is free. Open daily, except Tuesdays and May 1, from 10am.